Now Chelsea’s been and gorn what sticks in my mind? 1. I should invest in a nice umbrella. But how do you hold an umbrella and a camera? 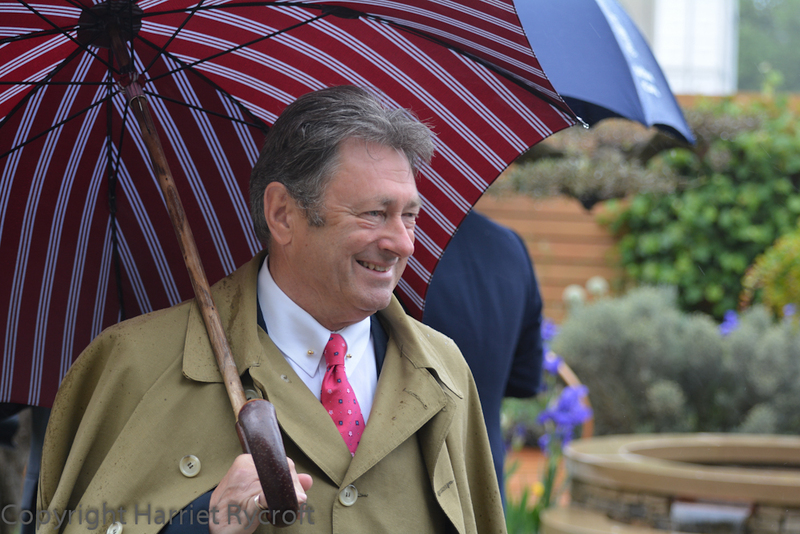 Alan Titchmarsh wins best umbrella at Chelsea. I’m not so sure about that coat. 2. 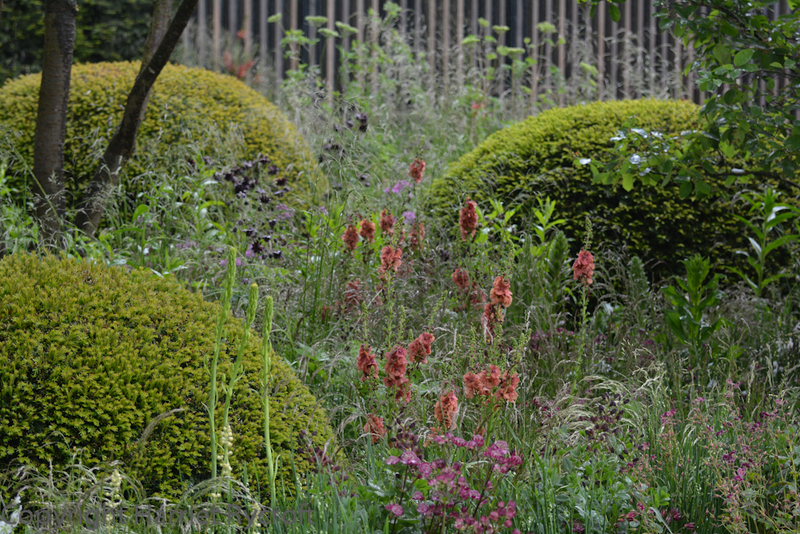 There never seems to be much good container planting at Chelsea. 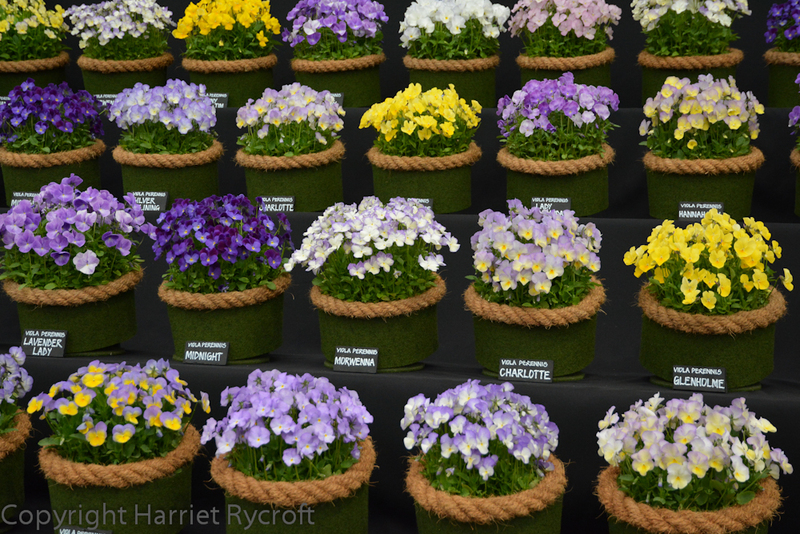 Which seems odd to me for a London show, where so many people garden in window boxes and pots in small yards. 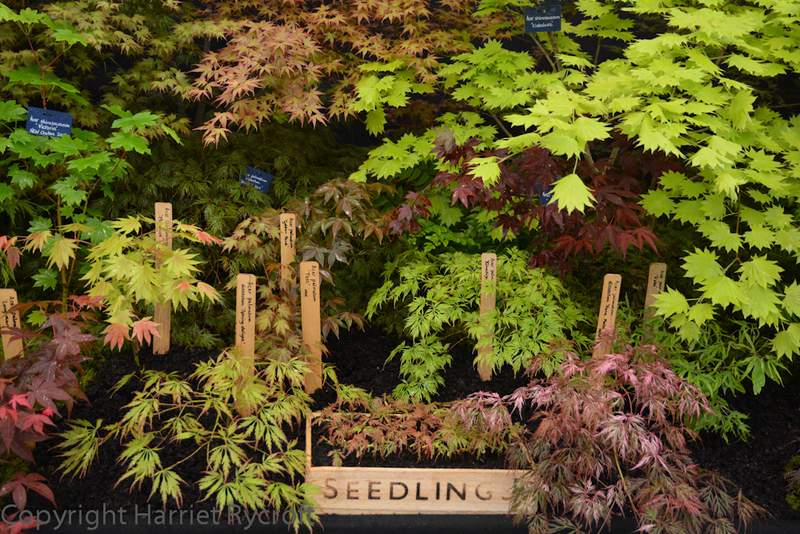 If you want to find interesting container planting at Chelsea it’s best to look on the trade stands. This was at Schellevis. 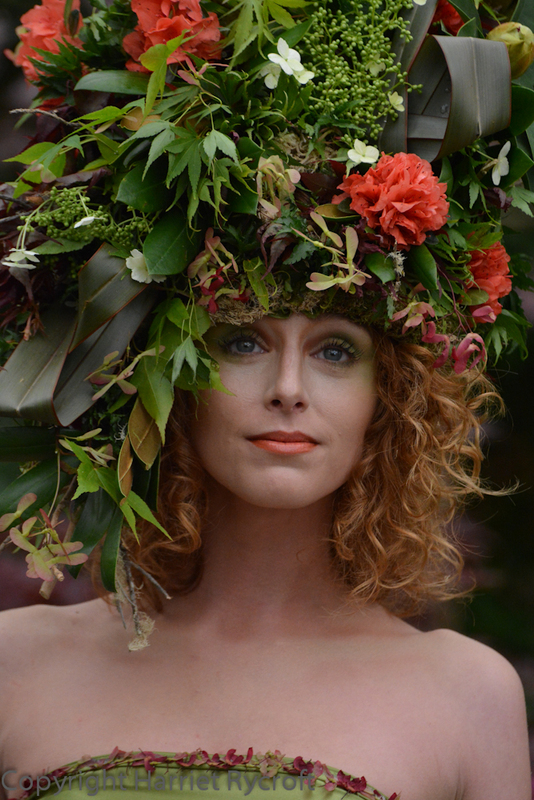 Floral headdress by Okishima and Simmonds at the Hillier stand. 3. I should dress more adventurously. Maybe a floral headdress would help. 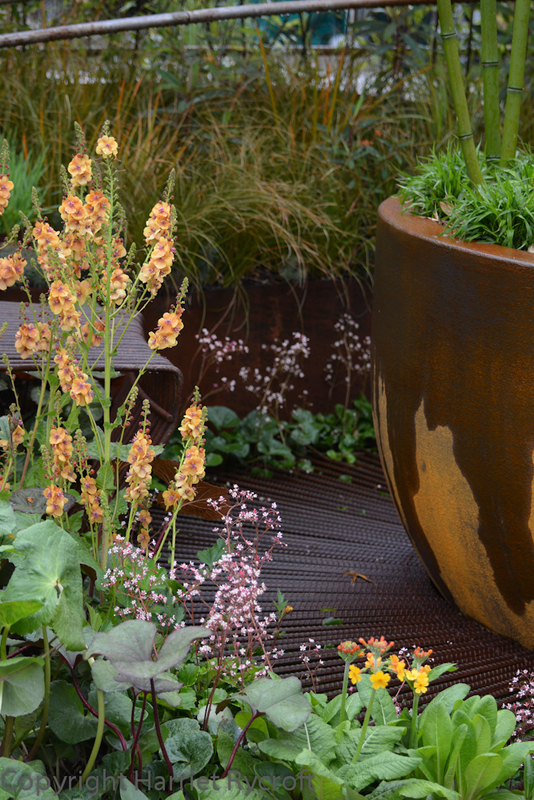 4.This year rusty colours are in. I remember the days when Chelsea used to be all purple and silver with the odd splash of magenta. 5. But clear, soft pinks are holding their heads high. 6. 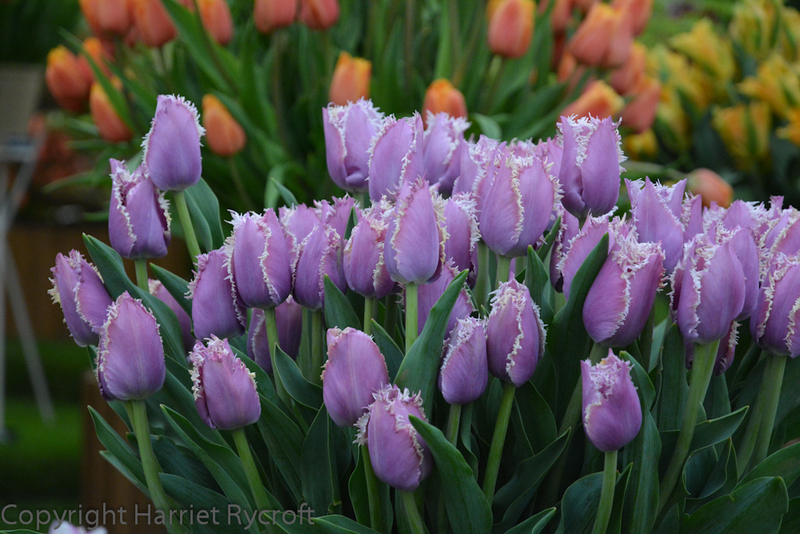 I still don’t like Tulipa ‘Cummins’, it looks like someone put their frilly pink knickers in a hot wash with an indigo tablecloth. 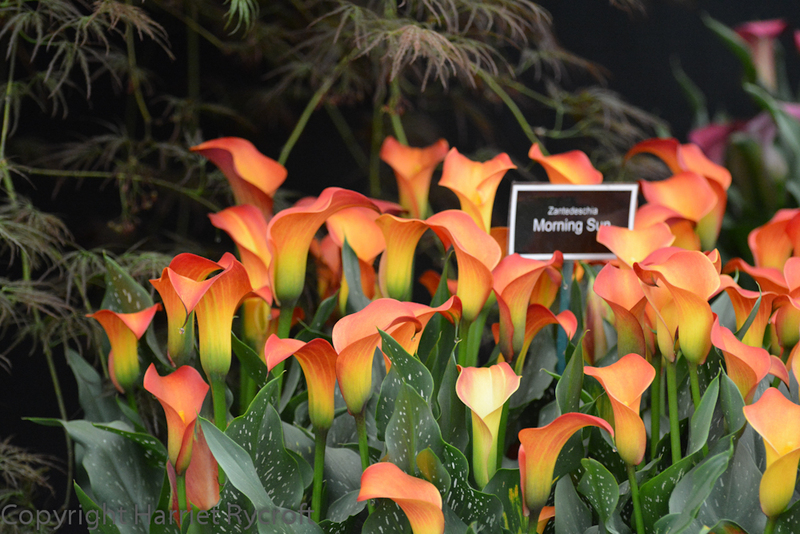 Tulipa ‘Cummins’ on the Bloms stand. 7. 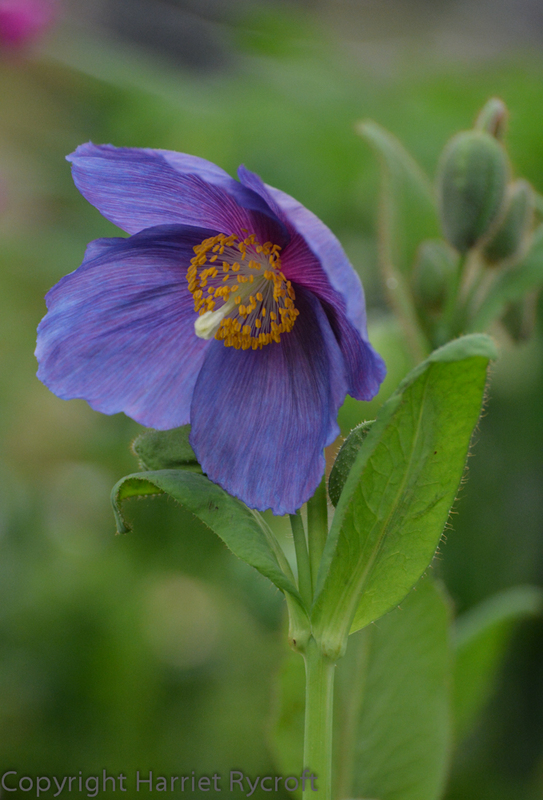 I wish I could grow Meconopsis. 8. 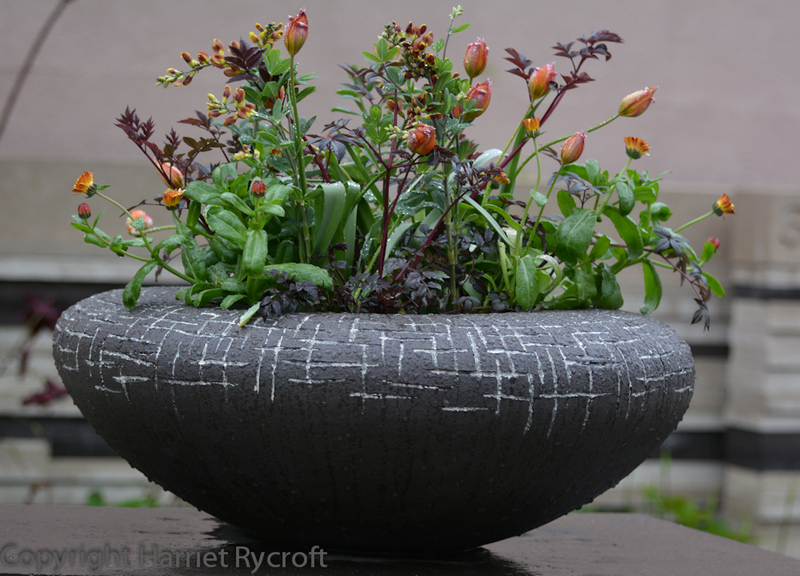 Gardens carry messages and memories beautifully. 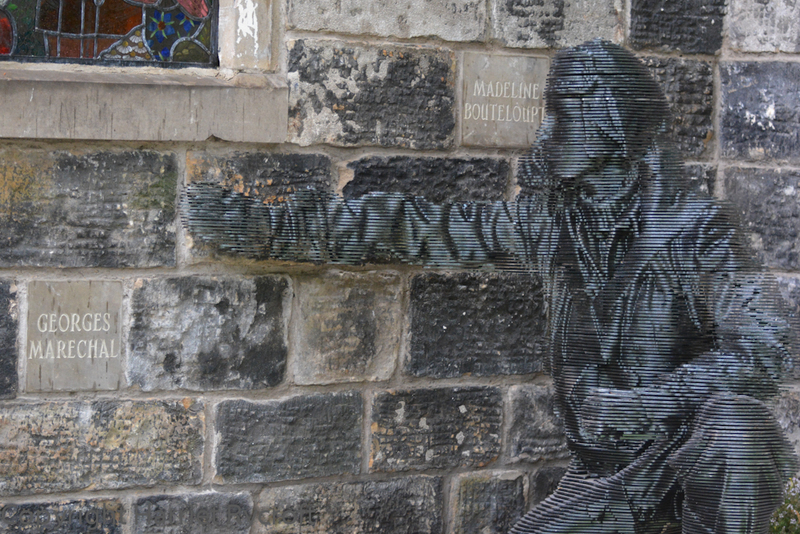 Ghostly statue in John Everiss’s Evader’s Garden – a tribute to his father and the members of the resistance who helped him. 9. 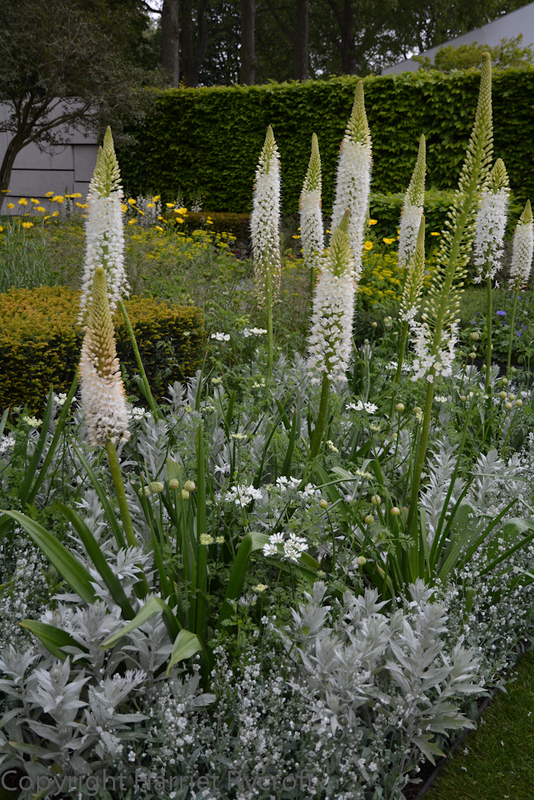 I want some Eremurus. 10. 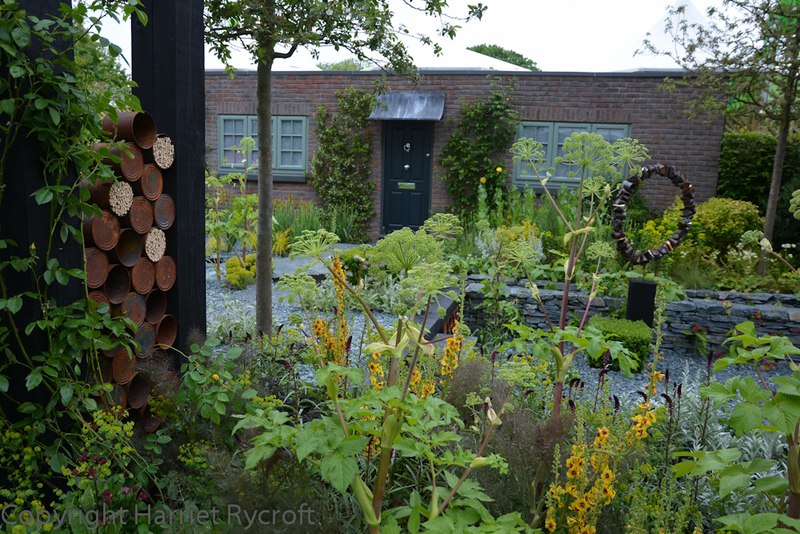 This year is all about circles and swirls and spirals, last year was all about rectangles. 11. Very clever things can be done with water – absolute precision is required to carry them off. 12. Yew blobs are breeding fast. I think some of them were scuttling between gardens. They have out-competed the box balls at last. 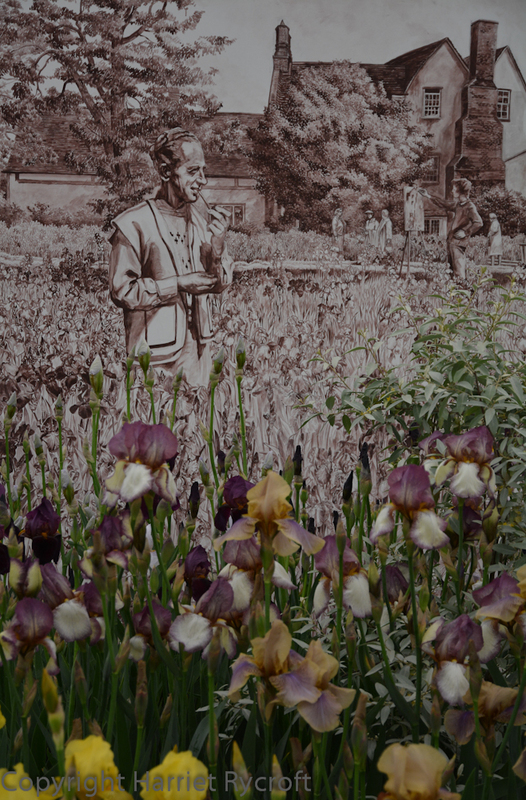 Cedric Morris and his watercolour-toned irises. 13. Painted backdrops can work. 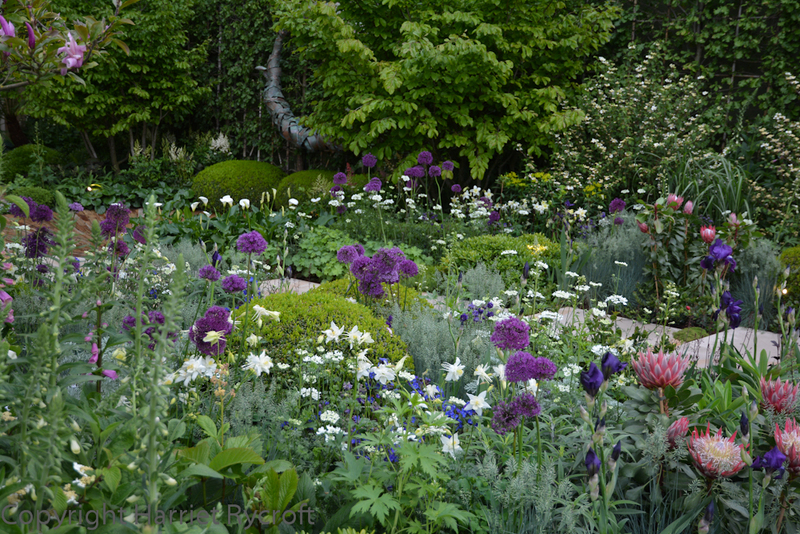 Usually I hate them, but the murals and planting on the Howard Nurseries/National Collection Sir Cedric Morris Irises stand blended extraordinarily well. 14. 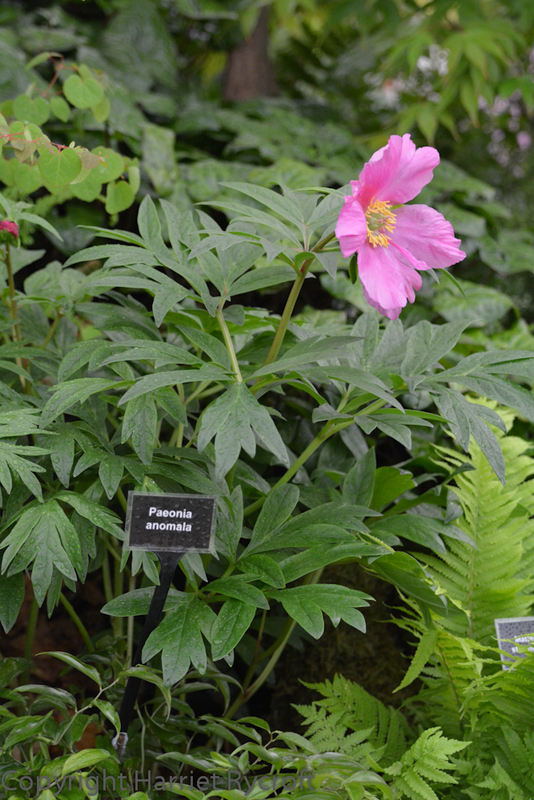 I can see the attraction of building up a big collection of one type of plant. 15. But I still want a bit of everything. 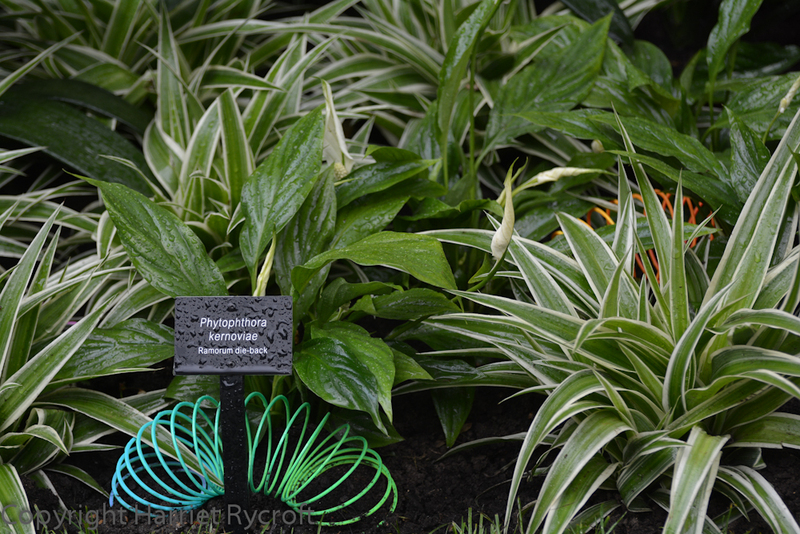 I think our horticultural lives should gather a wide variety of plants along their garden paths. 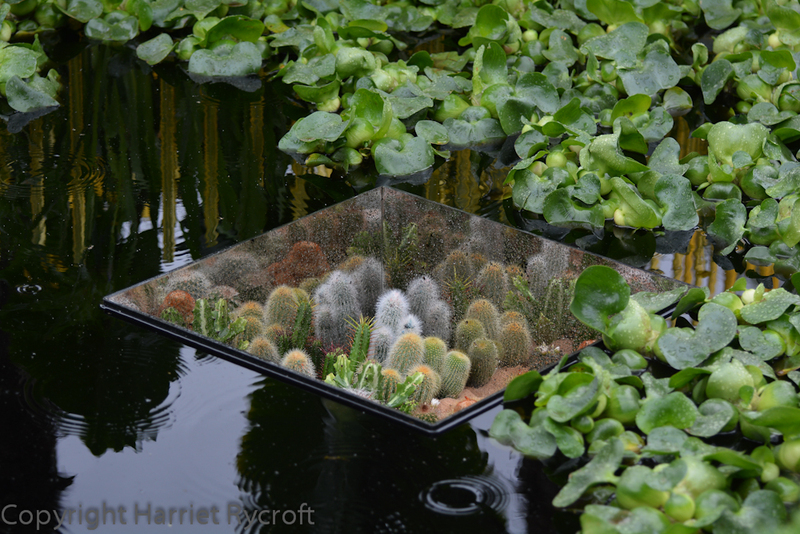 Charlie Albone’s autobiographical garden, The Time In Between. LOL, well, the tulips definitely would be a curiosity! I’ve ordered a few in my day that caused a “what on earth was I thinking?” reaction the following spring, LOL. Do you think I could get away with the Hillier’s hat at Royal Ascot? ?